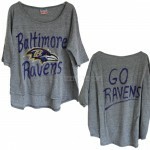 These items are revivals from the each brand due to customer's request and/or our best sellers. 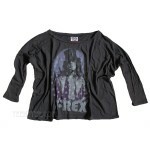 Junk Food 2012-3 NFL Limited Edition Collection Baltimore Ravens Vintage Gameday T / The ..
T. Rex 3/4 Sleeves Cropped Boxy Tee Dandy in the underworld/ US Version Brand: JUNK FOOD .. 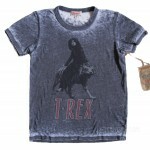 Junk Food Originals collection T. Rex Vintage style Tee Brand: JUNK FOOD SALE $32 (Retai.. 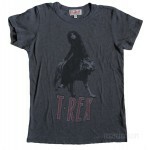 Junk Food Originals collection T. Rex Born to Boogie / Vintage style Burn-out Tee Sorry, so.. Junk Food Classic Rock LYRIC Collection The Rolling Stones HEY! YOU! 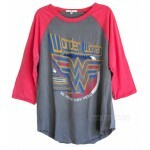 GET OFF OF MY CLOUD Shor..
Wonder Woman Be your own Vintage Boyfriend Color block Raglan T-shirt Brand: JUNK FOOD SAL..